← Wasserturm Swing on Friday! 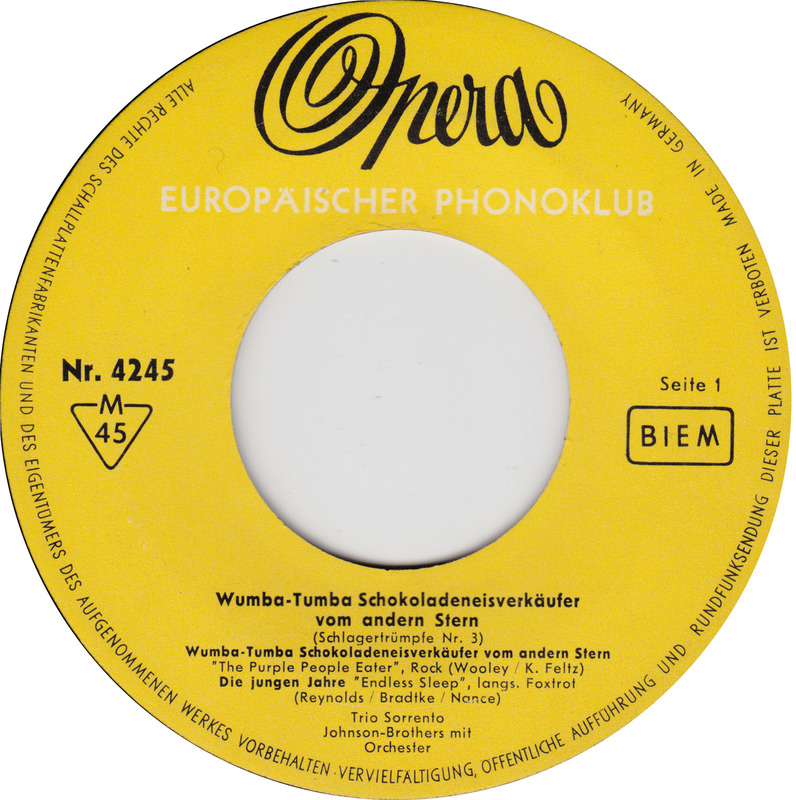 Bill Ramsey´s German cover version Wumba-Tumba Schokoladeneisverkäufer vom andern Stern of Sheb Wooley´s Purple People Eater reached #4 in the German Charts in 1958. 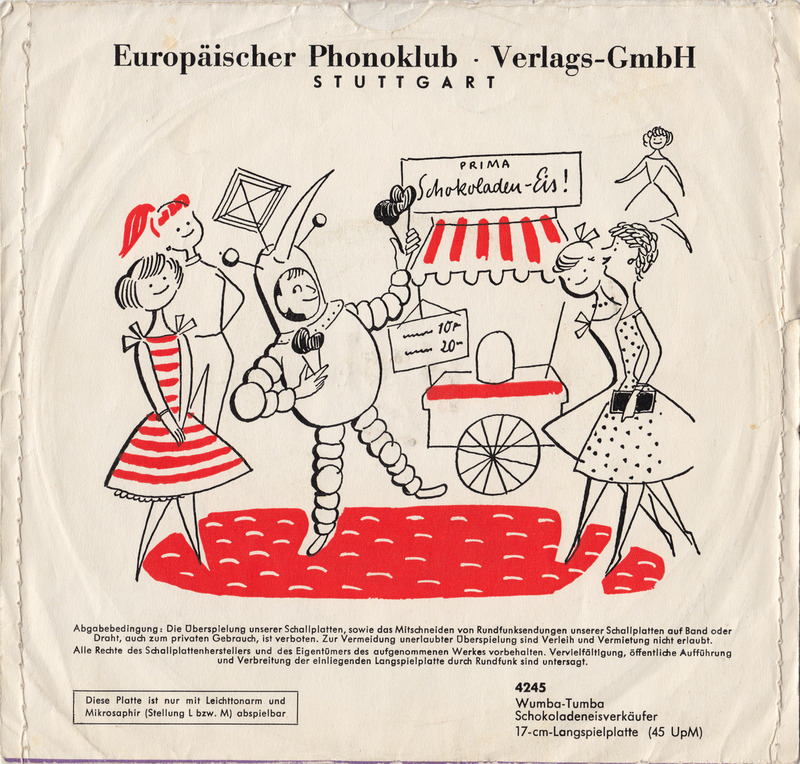 On Thursday I found a budget version of that song, released by the Opera label out of Stuttgart, in a nearby thrift store. I had seen a copy of the record on Ebay before, but since I don´t buy stuff on the Internet, I had to wait until I came across it by coincidence. On Ebay it probably wouldn´t have been 50 Cents either. Jody Reynolds song of teenage tragedy Endless Sleep reached #5 in the Billboard Charts in 1958. Reynolds follow-up Fire of Love from the same year, only went to #66, but achieved cult status 25 years later when The Gun Club covered it. 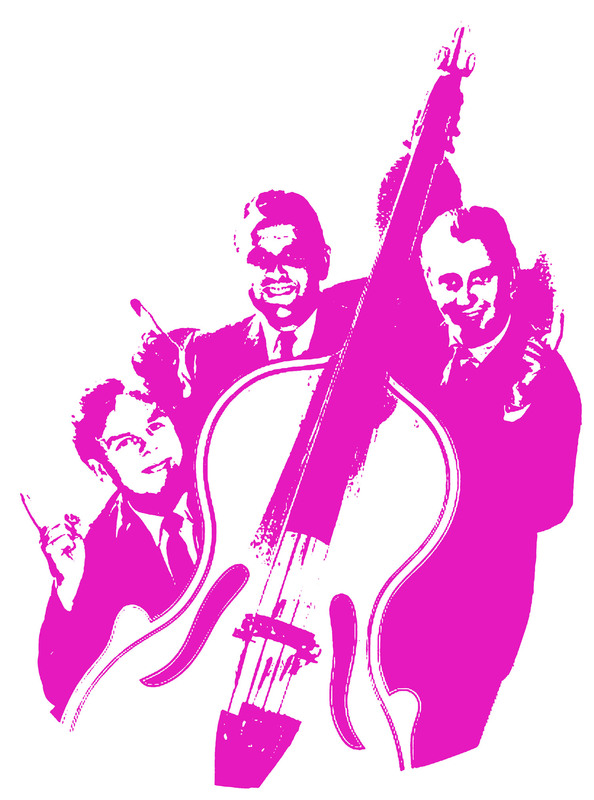 The original German version of Endless Sleep was recorded by the James Brothers (Schlager singers Peter Kraus and Jörg Maria Berg), who were put together to emulate the Everly Brothers. In true budget manner the Opera label producers simply called their brothers the Johnson Brothers. 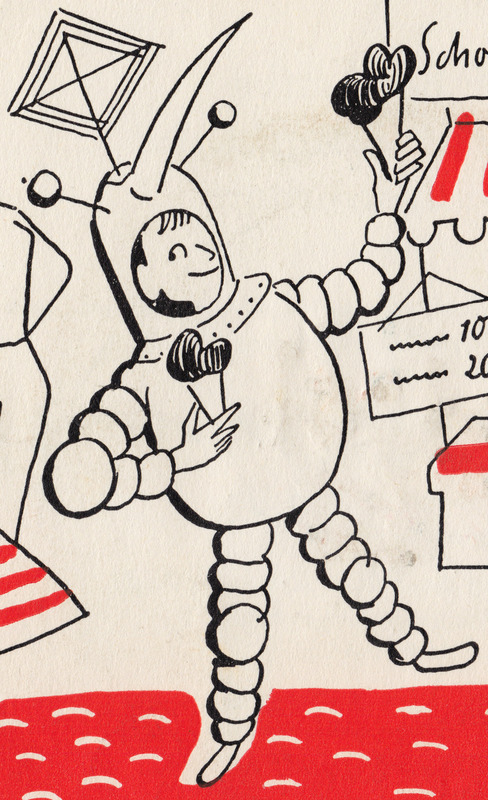 The two-colored illustration on the back of the sleeve should have been on the front. The drawing is what´s remarkable about this record. Why is the illustration on the back then? I can only imagine how the story must have been, but from my experience as an illustrator, it´s always the same thing. 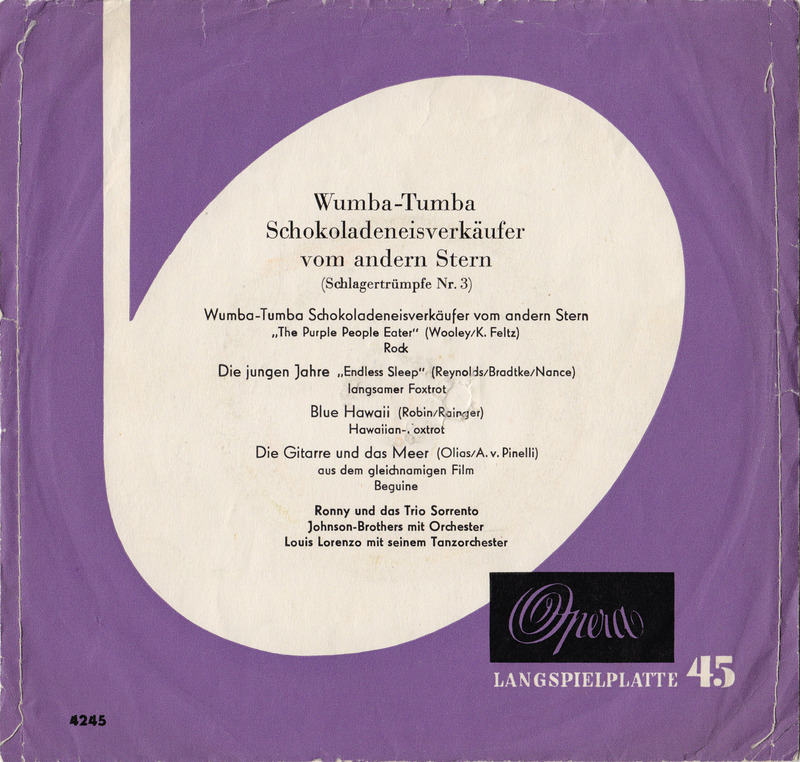 Regular Opera releases only had writing on the back. Because they had two rock´n´roll songs on the record, the record label people must have had the feeling that they should give the teenagers a little more to look at. They liked the commissioned drawing, but still decided against putting it on the cover, because they couldn´t depart from their concept that all their sleeves in this series needed to have the bland purple design! 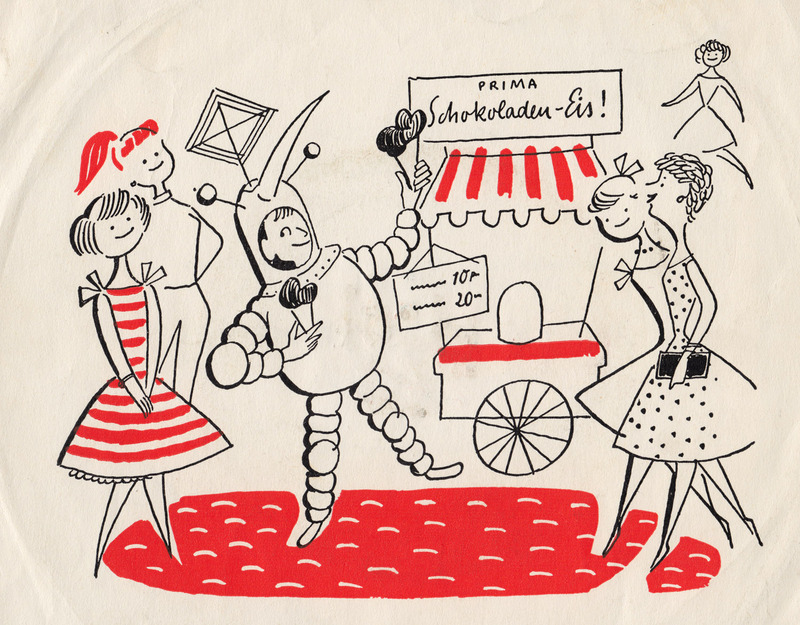 The illustration is in the style of Hans Kossatz.Nice! In my opinion it’s the best!